The colour is golden - on the nose: An idea of vanilla, and on the palate a rather strong mix of creamy, wooden,almond an some aromas of dark fruits with a great final that lasts between 10 and 15 minutes. A solid and round finish. 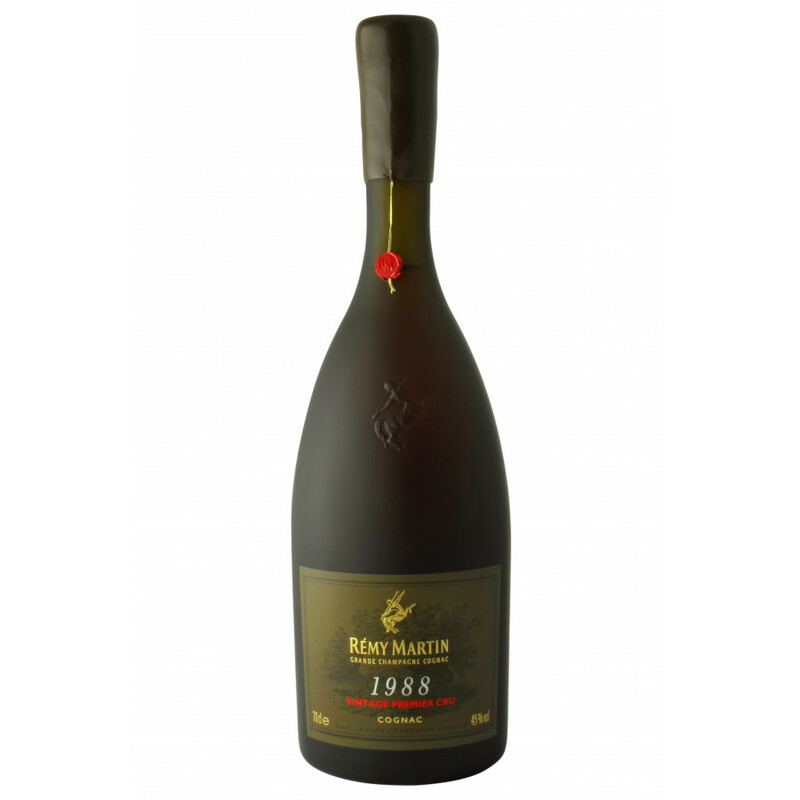 This Rémy Martin is a Vintage bottle from 1988 and it comes from the Grande Champagne cru area. Its at 45% ABV and is presented in a 70cl bottle. As this is a vintage cognac, the distilled eaux-de-vie come from the year of 1988, a year that was dominated by strong rainfall which had an effect of the development of the vineyards. This was leading to a limited harvest but a very interesting potential for the distillation process. Eye: Amber. Nose: Notes of cocoa, saffron, hazelnut and cigars. It has a noticeable aroma of vanillin. Palate: The initial taste brings exotic fruit, nuts, and menthol. It gives a long peppery finish. Eye: A bronzish, yellow color. No other tasting review available.